The use of Roux-en-Y gastric bypass (RYGB) for morbid obesity has raised concern that subsequent endoscopic evaluation of the gastric remnant and duodenum is difficult. By gaining percutaneous access to the gastric remnant, however, both gastroduodenoscopy and endoscopic retrograde cholangiopancreatography (ERCP) can be performed easily. 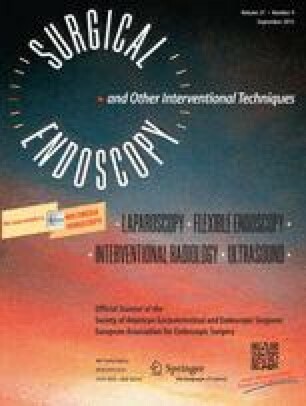 This report describes the results of a novel technique for performing “transgastrostomy” gastroduodenoscopy and ERCP.